Zion James Ferguson-Wright “Pook” was born on February 25, 2015 at 4:07am to Shantavior Ferguson & James Henry Wright III. 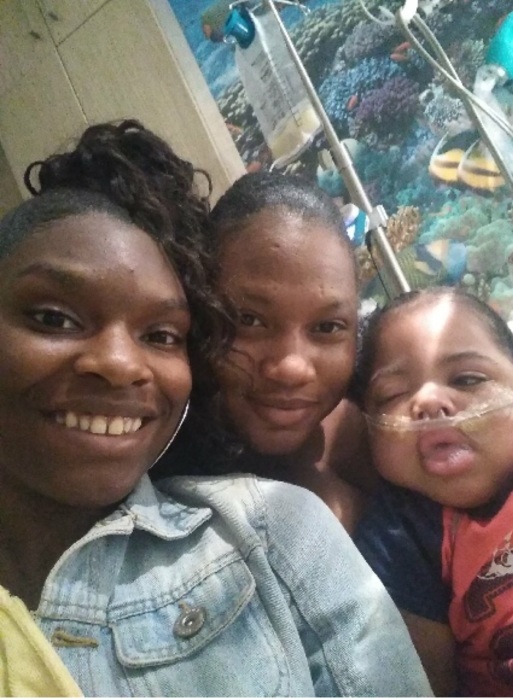 Even though Zion was born prematurely, he was healthy and strong. This little man weighed in at a whopping 1lb 8oz but had the heart and reasoning of a 6’4 God fearing man. He was a natural comedian as his playfulness and cunning nature shinned through; and when he opened his mouth to yawn he would bellow out the loudest and deepest tenor toned sound that would resonate until he was out of breath. Everyone in the room would erupt with laughter and comment on his size. Zion absorbed life and seemed to have a curiousness that surpassed his time. He was mesmerized with light shows, live music and birds sounds and loved to show off anything new that he’d learned. Cheering him on seemed to bring out beyond the best in him and the encouragement motivated him to reach more milestones and achievements. He was a very calm and peculiar little man that had preferences in foods and people. The bond that Zion shared with his eldest sister Taylor Gibbon was amazing. Even though they are 13 years apart he was extremely protective of her and she of him. They had moments of unspoken but obvious spats but couldn’t get enough of each other; and when it was nap time she was his favorite girl. Zion was especially intrigued with dark skinned people and knew the difference with hanging with beautiful women and the men in his life. Lol. His fight was strong and his will was unbreakable. He was surrounded by love, Faith and Prayer and to this end the world grieves for you. Forever in our hearts as you have changed lives and have made history because you had a message to share. We love you Pook and Mommy always will!